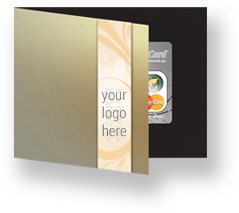 The fees for co-branded Cards are calculated over the issuing fee. Please request for a special offer regarding your specific corporate needs. The issuing and branding are fulfilled for 1 business day. 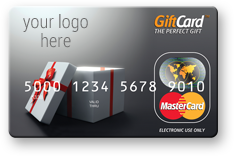 GiftCard is an Electronic money facility issued by iCard AD authorised and regulated by the Bulgarian National Bank as an Electronic Money Institution under the Electronic Money Directive 2009/110/EC with license No. 4703-5081/25.07.2011. Principal Member of Mastercard, VISA and JCB. 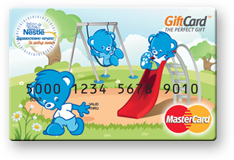 GiftCard,VIRTUAL GIFTCARD, eGIFT are registered trademarks. Please read the GiftCard General terms and conditions carefully.